So Many Stamps So Little Time: Happy Birthday Cutie! Hello friends! 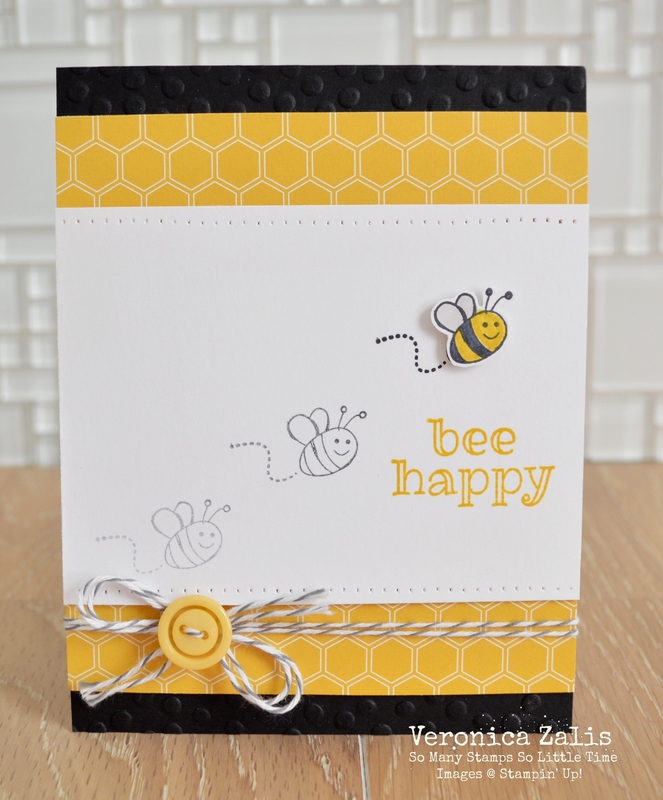 Today I have a couple of cards to share with you using the newly released Stampin' Up! "Sweet Stuff" stamp set. I just love this classic SU set, and I love having a stamp set that can be used for lots of different occasions, more bang for your buck! I used the SU Heart/Stars stencil background to add the cute hearts, and the banner was created with the banner punch and the SU " All A Bloom" DSP pad. I created this card with the same stamp set, and patterned paper from the "Moonlight" DSP paper pack. I just love that little bee! That's it for today, I am happy you stopped by! How SWEET...both of your cards!